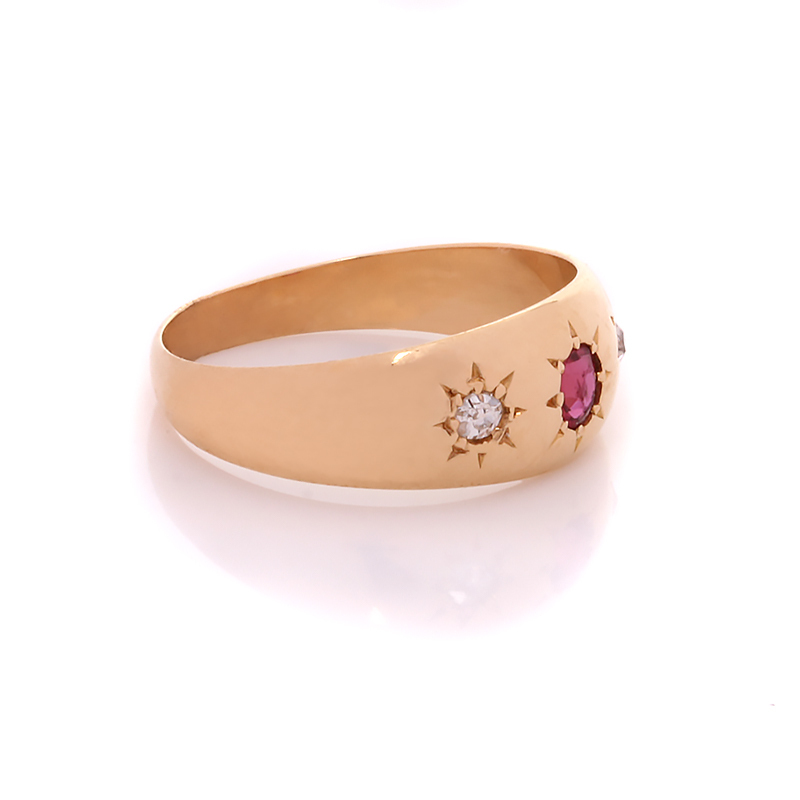 Product code: ES6274 Categories: Sold Items, Sold Rings. 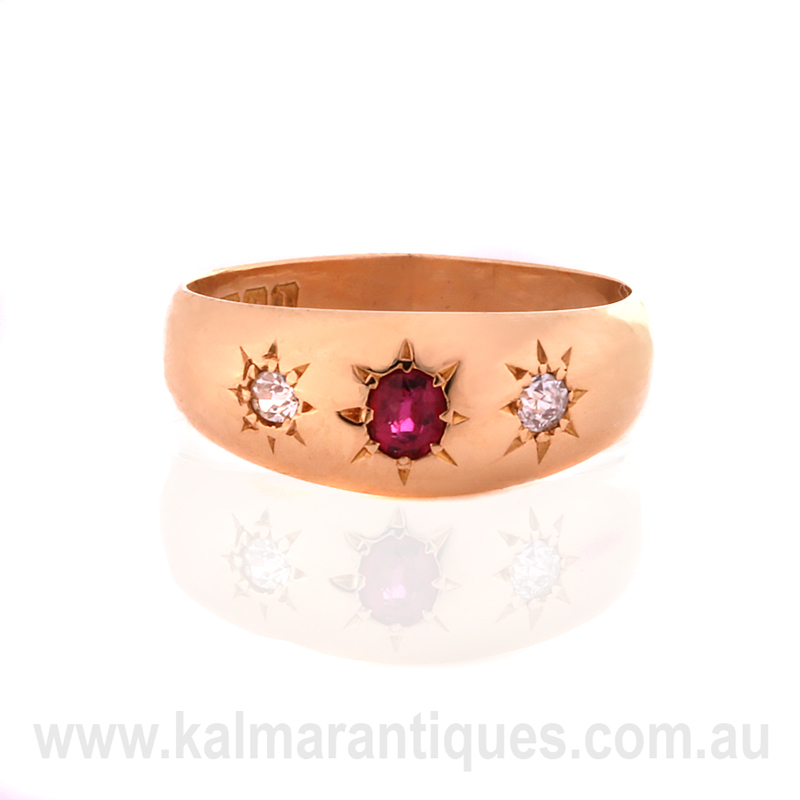 Perfect for any occasion, this antique ruby and diamond ring is just so attractive and easy to wear all the time. Made in Birmingham in 1910, the ring is set with one beautiful Burmese ruby that measures 0.20 carats and two diamonds that total 0.06 carats and are set into the band making it very practical to wear all the time. The pattern surrounding both the ruby and the diamonds really adds that extra character to the ring and the ring measures 7.1mm wide at the top and tapers down to 3.1mm wide at the back. With a gorgeous vibrant ruby highlighted by the diamonds, this antique ruby and diamond ring is just perfect to wear all the time. Tags: Antique Ring, Antique Ruby Ring.